An elegant cocktail reception was held in the gardens of the Ritz Carlton, Dubai for the regional launch of the Pandora brand as well as the reveal of their TVC campaign. Baby’s breath and ranunculus flowers framed the jewellery display cases and a live station showcased the workmanship behind the brand’s signature Murano stones. 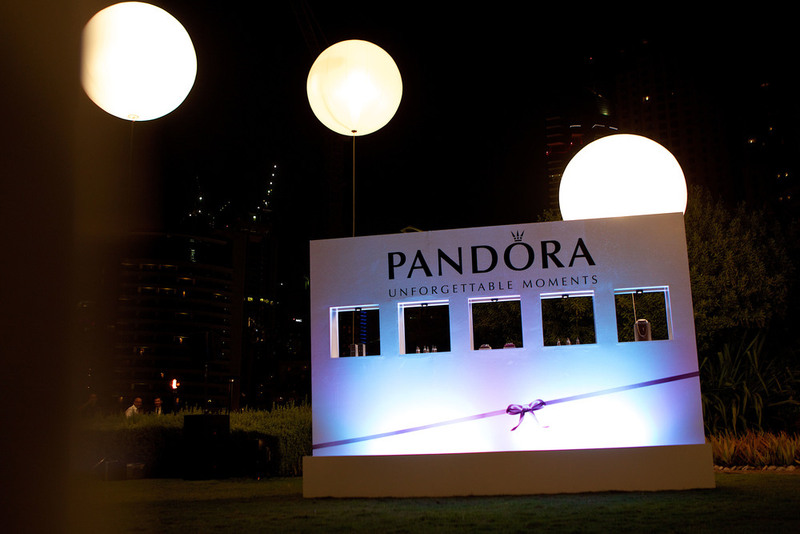 The culmination of the event was the grand reveal of their one of a kind gown dripping in gold Pandora charms.